In spite of both China and India being neighboring country, Chinese food and Indian food are quite different. 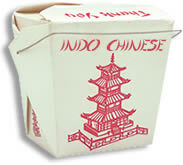 The Chinese food is more popular in the United States than Indian food whereas Indian food is more popular in the United Kingdom. In India, like any other countries, there are many Chinese restaurants where Chinese food is served. Beside these Chinese restaurants, there are many local restaurants serving Indian versions or inspiration of Chinese food. Even China and India do not share much culinary background together, there are many restaurants who serve Indian Chinese food. In this section, we would present you with some of the popular recipe of Indian Chinese foods.